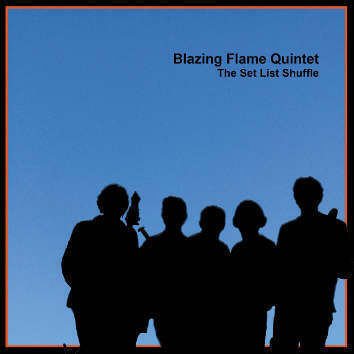 This sixth CD by Blazing Flame is what might be heard at a Blazing Flame Quintet gig. The January 2017 recording, played live at The Factory, Bristol, UK, contains no overdubs; the music is improvised. The intensity in Steve Day's songs takes a track like Specimen Orchid into a politicised jazz history akin to secular chant. Steve Day - voice, percussion, Peter Evans - el. violin, Mark Langford - tenor sax, bass clarinet, Julian Dale - bass, Anton Henley - drums.